There are so many burros! How will Pedro and Papa find one that is just right? A shared "My First" reading book. One of several titles in the I Can Read Book series. 32 illustrated pages. Ages 3-6. 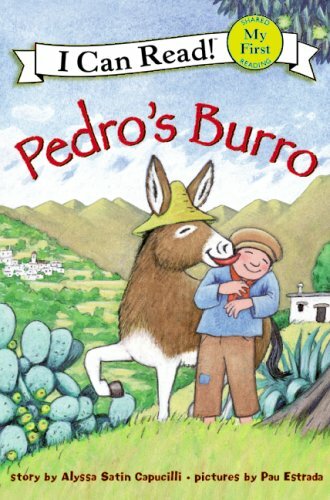 Despite her feeling that she is only a burro, Pequena is able to live up to the noble heritage of her ancestors who helped build Mexico. Pequena will introduce children to the heritage of the burro and of Mexico and spark their curiosity about the "gold and silver shoes" of their own heritage. Color illustrations. 30 pgs. Ages 4-8. Prospector Rupert M. Sherwood and his burro, Prunes, are best friends. They go together like salt and pepper. 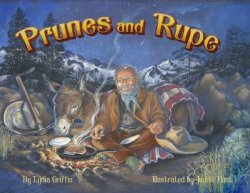 When Rupe asks his neighbors to help look after Prunes, an unlikely friendship blossoms between people of the town and the remarkable prune-colored burro.Based on true events, Prunes and Rupe is a story of friendship, love, and flapjacks. Beautiful color illustrations. Ages 7-10. 32 pgs. Ruby and Scarlett are two donkeys who spend their summers giving rides to children on the beach. Now Ruby has grown old, and when winter comes she can no longer ward off the cold. How can the other animals - already growing their winter coats and preparing to hibernate - help their friend to stay warm as Christmas approaches. Cute color illustrations. 26 pgs. Ages 4-8. St. Francis answers the donkey's questions as to why they have always been the beast of burden. 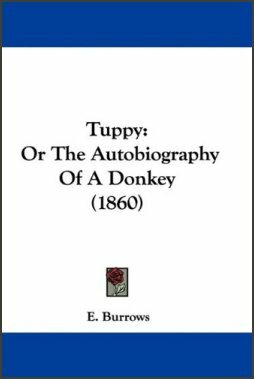 He explains the donkey's marvelous origins, explains his high-spirited, even recklass ways, and teaches the donkey the power of who he really is. Delightfully illustrated. 34 pgs. Ages 5-8.
and so had SaMule. Is he worthless? I think not! SaMule has proven himself to be kind, brave, determined, and forgiving. Color photos. 21 pgs. True story book that tells the tale of Scuffy and how he came to live at the zoo. Full color. 12 pgs. Ages 6-9. 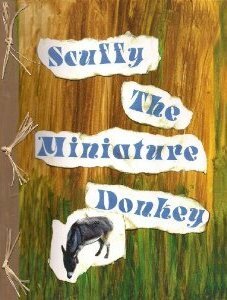 From extraordinary novelist Sonya Hartnett comes a gently told fable of a lost soldier, heroic children, and a steadfast donkey. One morning in the woods of World War I France, two young sisters stumble upon an astonishing find - a soldier, temporarily blinded by war, who has walked away from battle longing to see his gravely ill younger brother. Soon the care of the soldier becomes the girls' preoccupation, but it's not just the secret they share that emboldens them to steal food and other comforting items for the man. They are fascinated by what he holds in his hand  a tiny silver donkey. Illustrated. 266 pgs. Ages 10 & up. Rumors, rumors, rumors. Weve all heard them and have even believed them. 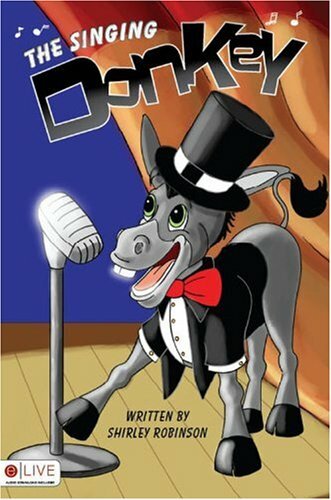 The Singing Donkey brings to life colorful animal characters that will warm your heart with their lively wit and bring joy to your soul as the main character, Donkey, triumphs over negativity. This is an eLIVE book, meaning each printed copy contains a special code redeemable for the free download of the audio version of the book. 28 pgs. Ages 4-8. 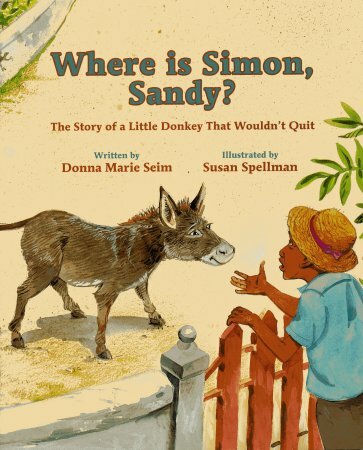 Story of a young boy who has to sell his loved donkey to Mary & Joseph.Color illustrations. Ages 5-8. Fictional story of Chico, his brother, two sisters and John Price - an American officer, in World War II in Italy. Their friendship includes a mutual affection for a brave little donkey, recovering from a bullet wound. Now, John is in danger, and Chico and "Sergeant Donkey" must try to help. 87 pgs. Ages 10 & up. by: De Segur, Madame La Comtesse &AMP; Willard, J.H. 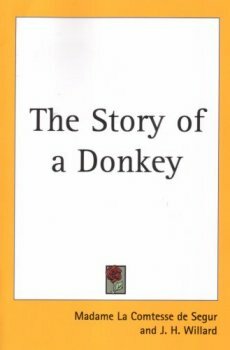 In this book a donkey tells the story of his life and adventures, because, as he says: I want you to treat all of us donkeys kindly, and to remember that we are often much more sensible than some human beings. A charming, whitty childern's story. 40 illustrations. Ages 12 and up. 130 pgs. 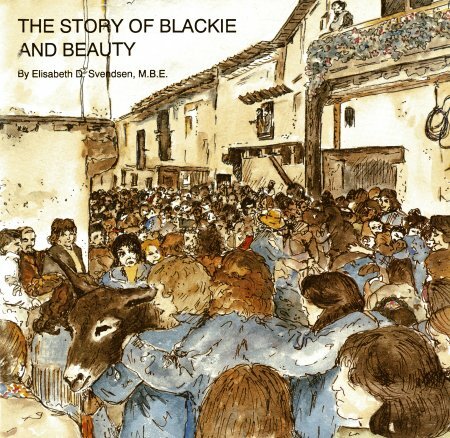 True story of how Elisabeth Svendsen has tried to help protect the donkeys in Spain from a cruel tradition that may hurt donkeys on Shrove Tuesday. Color photos & illustrations. 39 pgs. Ages 10 & up. The first book in a series based on fact in overseas countries. 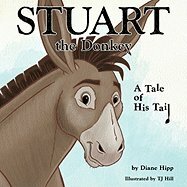 Dusty is a mischievous young donkey; every day she and her owner, a seven-year-old Ethiopian boy, make the journey to the local watering hole. One day he falls asleep when he should be keeping an eye on the donkeys. Dusty decides to go for a padlle but this leads her into an adventure she had not bargained for. Color illustrations. 32 pgs. Ages 8 & up. Each copy of this book purchased in English will enable a free copy in Amharic (the language used by the majority in Ethiopia) to be sent to a school there. Smartie, Eeyore's mother was one of the first donkeys to come to the Donkey Sanctuary located in England. This is the true story of Eeyore, who was the naughtiest donkey in the Sanctuary. Cute illustrations! A good book for adults as well as children. B/W illustrations. 36 pgs. Ages 8 & up. True story of Jacko, a donkey that lived on the island of St Lucia in the Caribbbean, who survived a huricane. Color photos & illustrations. 40 pgs. Ages 8 & up. The second book in a series based on fact in overseas countries. Joe lives on a small Caribbean island called Grand Turk, where he runs wild, and finding food and particularly water is a problem. He and his friends become so desperate that they raid the water tanks of the villagers, who get very cross with them. The solution to the problem is an unusual one for a donkey, which usually remains with all four feet on the ground. Color illustrations. 30 pgs. Ages 8 & up. Each copy of this book purchased will enable a free copy to be sent to a school in Jamaica. The third book in a series based on fact in overseas countries. Pepe and Petra are two donkeys living in Mexico. Miguel and Trini the children who look after them. One day, when Miguel takes Pepe to market, he has an experience that is to improve all their lives. Color illustrations. 32 pgs. Ages 8 & up. A Let's Read Together book with fun activities. 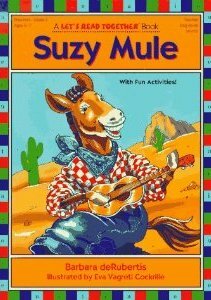 Suzy Mule has the flu. When Bruce the Goose stops by on his way south, Suzy gets an idea. And her life will never be the same! 32 pages, color illustrations. Ages 5-7. 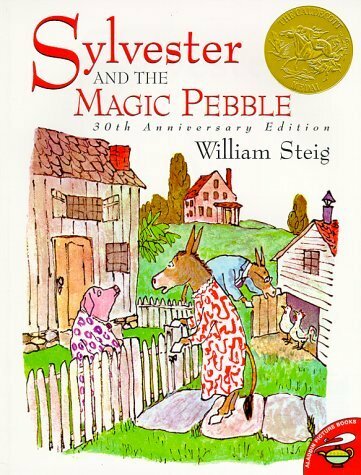 Sylvester the donkey has a hobby of collecting pebbles. One day he finds a magic pebble. Whatever he wishes comes true. Color illustrations. 32 pgs. Ages 4-8. 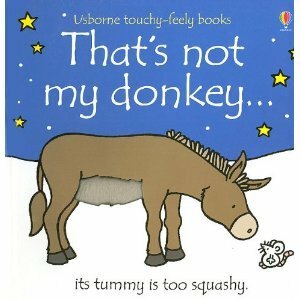 Beautifully illustrated book with 5 donkey stories based on actual donkeys at the Donkey Sanctuary in England. "The Tale of Naughty Mal", "Eeyore Meets a Giant! 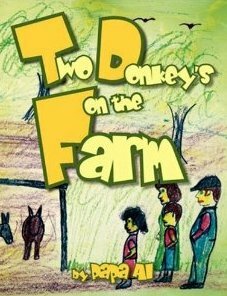 ", "More Adventures of Eeyore", "The Story of Jacko the Hurricane Donkey", and "The Champion Donkeys". Eeyore used to be the naughtiest donkey in the Sanctuary... until Mal came along. Even when he had just been born, Mal kicked up his heels and then discovered he could undo shoe laces. That was fun. But escaping was the best fun of all. These 5 stories feature mischief-makers Eeyore & Mal, as well as Jacko, the donkey who survived a hurricane, and Sam and Dobby who were given a special task. 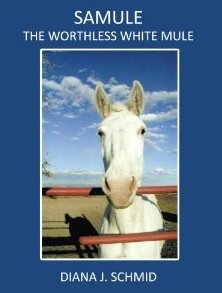 All are wonderful and true stories of real donkeys at the Donkey Sanctuary in Devon, England and of donkeys the author has met throughout the world. Great Color & B/W Illustrations. 80 pgs. Ages 8 & up. Goppy (an elephant) and Libby (a donkey) are best friends. But when Libby needs money for a new backpack, Goppy decides to teach her a valuable lesson about responsibility and frugality. He shows her how to earn her own money, and together they learn the joy of honest work and financial independence. 24 pages, color illustrations. Ages 4 & up. This board book shows a mouse going from donkey to donkey to find his. Each donkey that isn't his has some sort of specific difference. With bright pictures and patches of different textures, this book is designed to develop sensory and language awareness in young children. 10 pages. Ages 2-4. A true story about a donkey named Tiny Titch and his friend, So Shy, who were brought to the Donkey Sanctuary and saved from a life of ill treatment. But Tiny Titch just cannot resist being naughty. His weakness for sticky cakes leads him into a scrape, but he ends up a hero. Cute color & B/W illustrations. A good book for adults or children. 32 pgs. Ages 8 & up. 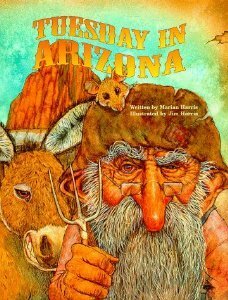 A down-trodden miner and his pack rat companion show that perseverance conquers all and that attitude is everything, in this pun-filled picture book. Ages 5-7. 32 pgs. Reprint of a book originally published in 1860. The story of a donkeys life, as told by the donkey itself. 100 pages, 4 illustrations. Ages 12 & up. 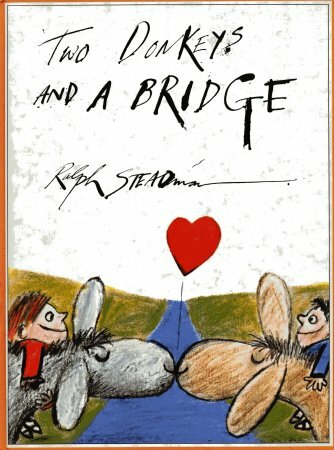 Two boys & their donkeys live on opposite sides of a river. They convince their villages to build a bridge across the river. Then what happens?! Color illustrations. 30 pgs. Ages 4-7. 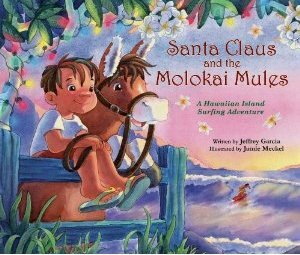 Follow Keikilani, the singing donkey, as she travels to Volcano on the Big Island of Hawaii. She visits the town of Volcano where she meets a new friend, kana. Together they ask Madame pele, the goddess of the volcano, to help solve a problem. Color illustrations. 32 pgs. Ages 4-8. Fred dreams of flying but the other animals just laugh. 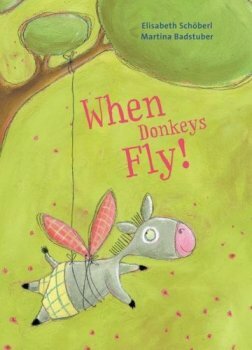 Whoever heard of a flying donkey, that's impossible! they say. But Fred believes that anything is possible, if you just believe. With convictionand a little help from his friendsone of Freds dreams comes true. Cute full page color illustrations. Ages 4-8. 32 pgs. 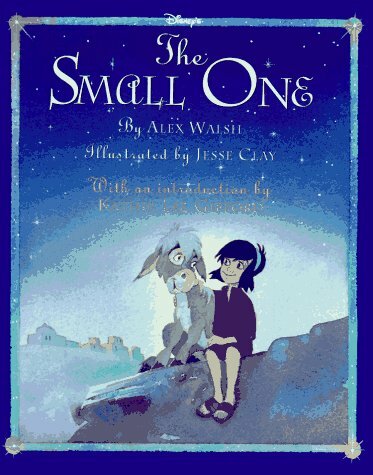 The story of a little donkey that wouldn't quit - based on a true story. This book is dedicated to the children of the Turks & Caicos Islands. All proceeds will be donated to The Children's Programme of the Turks & Caicos National Museum. On an island called Grand Turk lived an old man named Simon & his donkey Sandy. They delivered water to the villagers everyday. But one day Simon wasn't able to deliver the water. Delightful color illustrations on every page. Includes a page of fun facts about donkeys. 34pgs. Ages 4-8.